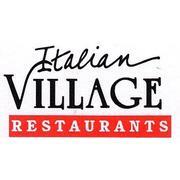 The Italian Village Restaurants is Chicago's oldest Italian restaurant. family owned and operated since 1927.We are now seeking an outgoing individual who can thrive in a fast pace environment to join our office team. This is a day time position. Respomsibilites include, taking reservations . Knowledge of Opentable a plus. Customer service, general office duties, light bookkeeping, Knowledge of Excel and Quickbooks required. Applicant must be able to work Saturdays.